President Donald Trump is digging his heels in on DACA, although he is perhaps much more interested in securing $25 billion in funding, to build his long-promised wall between the United States and Mexico. On Friday, Congress voted to pass a $1.3 trillion spending bill, designed to fund the government through the end of fiscal year 2018. Early on Friday, the President delivered a threatening message to Congress via Twitter, intimating that he would veto the spending bill, because it did not provide any relief to DACA recipients such as a path to citizenship. The President however failed to mention that also absent from the bill, was a promise from Congress to fully fund the President’s border wall. The President blamed the Democrats for failing to reach a deal with Republicans that would put Dreamers on a path to citizenship tweeting this morning, “DACA was abandoned by the Democrats. Very unfair to them! Would have been tied to desperately needed wall.” The President has vehemently insisted that any legislative action providing relief to Dreamers, must also concede $25 million in funding to his administration to build the border wall. The President of course was bluffing. Despite his criticism, the President did not follow through on his promise to veto the bill, possibly because the bill does include a promise of $1.6 billion in funding to reinforce and replace portions of the border wall, although that figure is short of the $25 billion the President is requesting. Also, a small victory for the Trump administration is $21 billion in funding provided in the bill to increase border enforcement and resources for detention facilities. The fate of DACA continues to hang over our heads, with no clear solution in sight. At the moment Congress has left for a two-week spring recess. The issue will likely not be taken up any time soon. 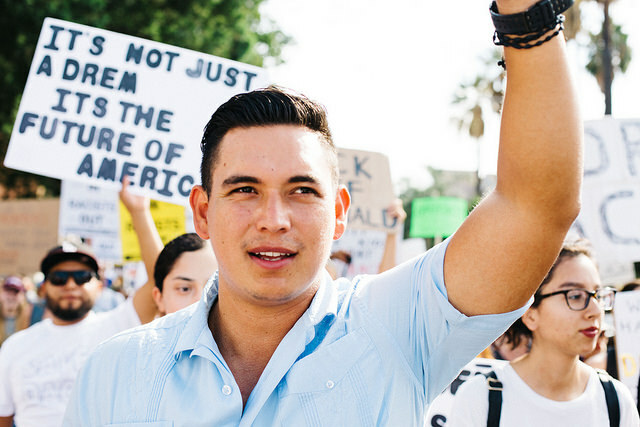 The good news is DACA recipients may continue to seek a renewal of their status. For more information please contact our office.